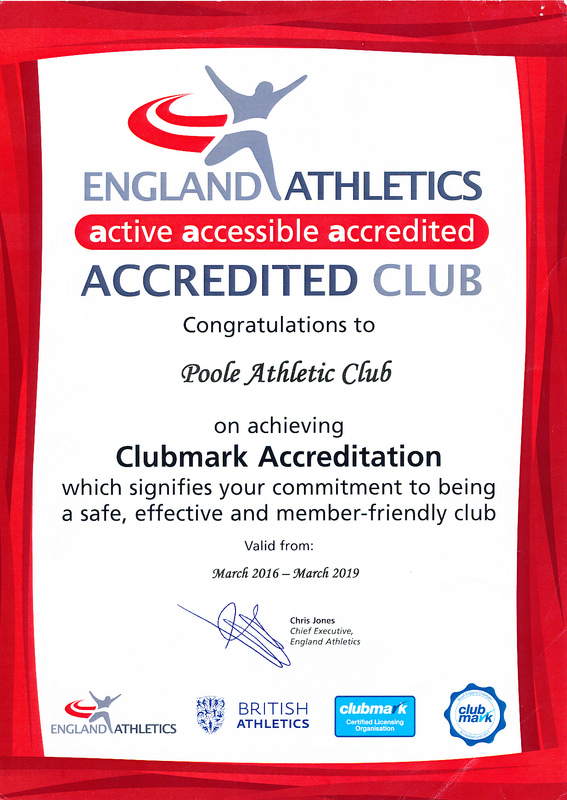 Poole AC were the first club in Dorset to achieve the prestigious Clubmark accreditation. The award recognises Poole AC as a quality club. Poole AC are proud to have been selected by England Athletics as one of their small group of affiliated clubs as an Inspiration Club for 2017. The recognition is as a result of Poole AC’s work within its promotion of disability accessibility and inclusion, with the development of a successful Para-Athletics squad under the command of award winning coach Martin Cook.